OUT NOW! 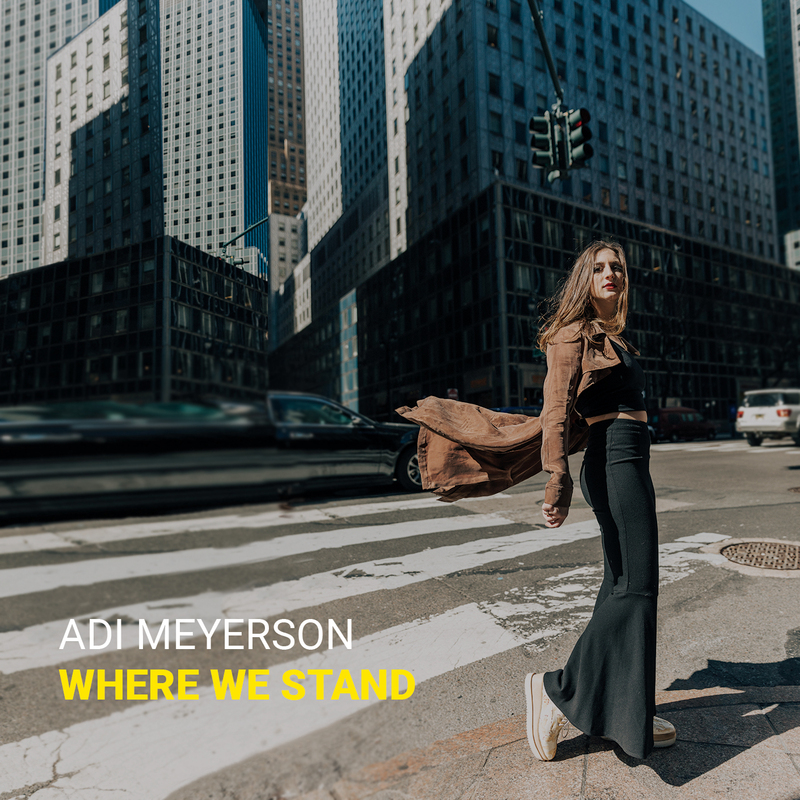 Adi Meyerson Releases her Debut Album “Where We Stand” TODAY! Bassist and composer Adi Meyerson is proud to release her debut album Where We Stand TODAY! Alongside the distinct stylings of special guest vocalist and guitarist Camila Meza, Where We Stand features stalwart tenor saxophonist Joel Frahm, trumpeter Freddie Hendrix, pianist Mike King and drummer Kush Abadey. Where We Stand, signified by the title track, and as a whole, represents times of uncertainty and change. Through this dynamic music, Meyerson displays how these particular moments, although unpredictable and ambivalent, can sometimes also carry a feeling of excitement and anticipation. For Meyerson, the album title feels relevant to her, both as an individual and as a part of the current social climate we all live in today. The release of Where We Stand will be celebrated at The Jazz Standard, located at 116 E 27th St, New York on Sunday, July 1st at 12pm, as part of their Smokestack Brunch Series.